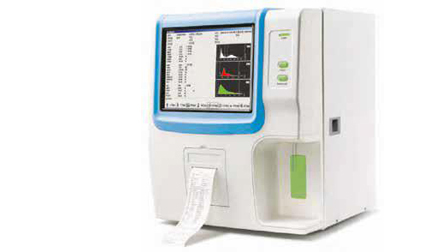 BeneSphera™ brand hematology analyzers for both human and veterinary applications are available in select markets in Europe and Asia. These reliable, easy-to-use analyzers are capable of monitoring a 3-part differential population. For optimal performance, J.T.Baker® brand reagents should be used with BeneSphera™ brand hematology analyzers.